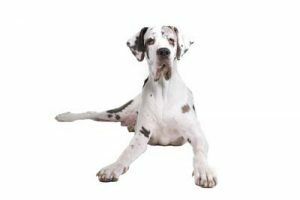 During the 2018 American College of Veterinary Internal Medicine Forum in June, ELIAS Animal Health, a clinical stage development company advancing novel treatments for companion animal cancer, shared preliminary canine osteosarcoma results for its cancer immunotherapy. This cancer immunotherapeutic is being distributed as an experimental product under 9 CFR 103.3 to veterinarians treating dogs diagnosed with cancer. Efficacy and safety have not been established. One in four dogs will be impacted by cancer in their lifetimes, and cancer is the No. 1 cause of death in dogs older than 2. “There has been growing frustration in the veterinary profession with current treatment options, including chemotherapy and radiation, which have only modestly improved outcomes over the past 20 years,” said Noe Reyes, DVM, medical director, ELIAS Animal Health. Final results from the study will be available in the third quarter of this year, with plans to present at the fall Veterinary Cancer Society conference in October. Supporting data from a separate study conducted in collaboration with the Animal Clinical Investigation network of veterinary hospitals will also be presented. For more information on the clinical program, visit eliasanimalhealth.com or contact ELIAS at clinicaltrials@eliasah.com.